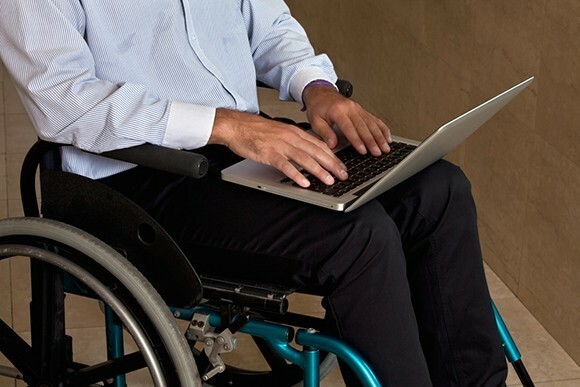 The federal government is once again being called on to urgently step in and sort out “the IT debacle hampering the National Disability Insurance Scheme” as some providers claim they are being forced to suspend their services. Dignity for Disability MLC Kelly Vincent is demanding that Social Services Minister Christian Porter “urgently intervenes” as she claims many service providers, agencies and self-managed clients have been unable to access the new payment portal, which allows NDIS participants to claim against their funding packages to pay for their services. Moreover, according to Vincent, no NDIS plans have been approved since before the NDIS was rolled out nationally on 1 July. This latest call for government intervention follows an earlier complaint made by Vincent at the beginning of the month that the NDIS, the country’s biggest social policy project since Medicare, was “gridlocked” while the government was in caretaker mode. Vincent, who was elected to South Australia’s upper house in 2010, told Pro Bono Australia News that “enough was enough”. “I demand that the Commonwealth social services minister take action to march out of this mess. We are out of caretaker election mode, and he is a sworn minister of the Crown – so he needs to fix this fiasco, now,” Vincent said. “Clearly, the NDIA are not getting the support they need to clean up this chaos – they need an urgent investigation and injection of resources guaranteed by the minister in charge of the NDIS, the Hon. Christian Porter MP. “I have been told that not only external users are having a hell of a time with the new computer system, but it seems National Disability Insurance Agency staff can’t approve plans following the recently-implemented IT changes. “I am also getting calls from families that have now been abandoned by service providers because those providers haven’t been paid for six weeks. Bureaucratic bungling is crushing small businesses through administrative mayhem. “It is very tough to ask yourself and your staff to go six weeks without pay. Her calls have been echoed by Dana Baltutis, a speech pathologist and director of My Therapy House. In an official ministerial complaint addressed to Vincent, Porter, Assistant Minister for Disability Services Jane Prentice, Shadow Minister for Disability Reform Jenny Macklin, and Senator Nick Xenophon, Baltutis said she had received minimal assistance from the NDIA and the problems were forcing them to consider closing the practice. “Currently we have over $11,000 of outstanding invoices that we have not been able to reconcile for NDIS managed clients,” Baltutis said. 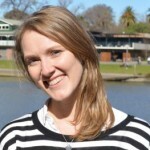 “We have 11 clients (and more emerging each day) who cannot access their NDIS portal… as a consequence our practice, My Therapy House in South Australia does not have accurate information about client service plans, goals or funding on our MyPlace Provider Portal, is not able to book in services for clients on the NDIS MyPlace provider portal [and] is not able to guarantee that we can sustain services to clients if we do not know what their unused fund amounts are. “We hope you are able to address these issues urgently, to help alleviate stress and distress for our clients, as well as our practice. “We want to continue servicing our current client group and not be put in a position of cancelling services to NDIS managed clients, who we have served for the last 12 months (and longer), or closing the doors of our practice because it is no longer viable to run a business in this way. Vincent said, in spite of daily meetings and software updates every night, the new website had not been fixed and still didn’t tell a service provider whether a participant had any money available in their plan. “On the weekend, a number of disability agencies received telephone calls explaining that all the IT problems had been fixed, yet upon logging in on Monday, they’ve found it’s as faulty as it ever was,” Vincent said. “So it seems very interesting that the view of the agency seems a bit out of step with the reality at the moment. “What is even more concerning… it has now been six weeks since a participant was approved for a plan under the NDIS so they are actually at the point where they cannot accept new people on to the scheme presumably because of this IT debacle. Vincent said the current situation threatened to undermine the NDIS as a whole. “I think it is completely fair to assume that this may well impact people’s confidence in the scheme as a whole… 1 July was supposed to be the start of the full rollout of the scheme and yet what has really happened is the brakes have quite literally been put on as no one has been approved for a new plan,” she said. “So on the one hand we’ve been told that 1 July is the date when people with disabilities can really start hoping for better lives and more supports and yet the exact opposite has happened. Vincent said the social services minister was responsible for the NDIS and the welfare of people with disability. Christian Porter’s office and the office of Assistant Minister for Disability Services Jane Prentice, who is currently responsible for the operational side of the NDIS, referred Pro Bono Australia News to a statement from the NDIA. The statement said: “Suggestions that the National Disability Insurance Agency (NDIA) does not have sufficient resources to successfully implement the transition and is not approving plans are incorrect. almost 4,000 people in the NDIS planning process. “The NDIA has and continues to acknowledge that during this major transition there have been some issues relating to data migration from the old to new platform. “These issues have impacted on payment requests being able to be successfully processed within the new NDIS myplace portal. “Throughout July a range of these issues have been progressively fixed, resulting in the progression of individual claims. “The agency has already successfully transitioned 30,000 Australians into the NDIS, on time and on budget with a participant satisfaction rating of more than 90 per cent. “The agency has and will continue to work with providers and self-managed participants to ensure they are financially supported and will continue to communicate directly with providers and self-managed participants who have been impacted, through our regional staff and call centre. Those experiencing financial impact are encouraged to call their regional NDIA Office or 1800 800 110 to organise payment. Sadly, the IT consultancies that do this sort of thing again and again make more money from a failed implementation than a successful one. For some reason they never make the news either so senior management with no IT knowledge get suckered time and time again. Name and shame people…how is anyone supposed to avoid the shonkies if they are a protected species? It’s an absolute disgrace! Care will soon cease for my child as a result of this debacle.